Dr. Rob Peterson bore witness to war and wonder during his career in the Navy but when the time came for him to re-enlist, the veteran nuclear operator opted for dental school instead. So began his journey back to school. After receiving an honorable discharge in March 1995, Dr. Peterson began taking classes part-time as he juggled family and school and paying the bills. For 13 years, he balanced the three until graduating in 2008 — two weeks before his 41st birthday. The Navy turned out to be an ideal training background for dentistry, said Dr. Peterson, now a general dentist in Corning, Iowa. He described nuke school — as it’s called — as being the equivalent of 35 semester hours in what was considered graduate level physics, materials and reactor theory classes. Dr. Gail Tischke standing on the bow of the USS George Washington going through the Suez Canal. Dr. Tischke switched her career to focus on dentistry when she enrolled at the University of Illinois Chicago School of Dentistry at age of 43. His experience in working with teams also factored in. Army veteran Dr. Jason McDaniel can relate. Prior to undergrad, he spent three years as an infantryman with the 101st Airborne Division Pathfinders on a team that helped scout places for helicopters to land. In 2000 he received a scholarship to become an officer. While completing his undergraduate degree at Grand Canyon University, he discovered dentistry and went on to graduate from the University of the Pacific, Arthur A. Dugoni School of Dentistry. He has been serving as a dental corps officer since 2010 and couldn’t imagine not being in the armed forces. “It was a privilege to serve with a bunch of dedicated and amazing soldiers, some of whom paid the ultimate sacrifice in the wars in Afghanistan and Iraq. It truly was a formative period of my life that I look on with pride,” said Dr. McDaniel, now an endodontist mentor in Fort Bragg, N.C. Both Drs. Jeff Marrs and Michael Browning attended the U.S. Military Academy at West Point and were commissioned as infantry officers before deciding to become Army dentists. 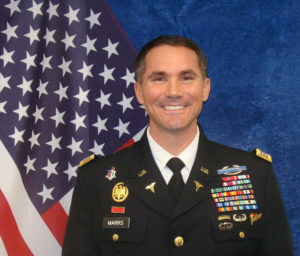 “My desire to become a dentist stems from my deployment experiences to Iraq and Afghanistan, and specifically, from the basic need for dental care by the men and women with whom I served,” said Dr. Marrs who graduated from UT Health San Antonio School of Dentistry in 2017 with distinction and recently completed an Advanced Education in General Dentistry residency program. He is now a general dentist stationed at Joint Base Lewis-McChord in Washington, along with his wife, Esmeralda, an Army Medical Corps officer, and two children. Dr. Browning studied civil engineering at West Point, graduating in 2000. He earned the Ranger tab, and was stationed at Camp Casey in South Korea on 9/11. He deployed to the Middle East in 2003 where his unit, the 3rd Infantry Division, spearheaded the invasion of Baghdad. Two deployments to Iraq followed. Following his third deployment, he decided to serve in a different capacity. In 2008 he entered the School of Dentistry at the University of Alabama at Birmingham, graduating in 2012. “Dentistry intrigued me even as a child, but it was something I never pursued until I discovered I could continue my military service as a dentist,” said Dr. Browning, who also spent two years in an Army Advanced Education in General Dentistry Residency. 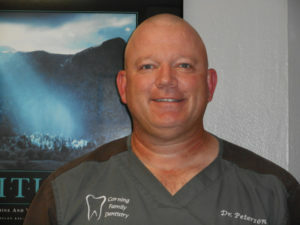 He is currently the chief dental officer of the 257th Dental Company at Fort Bragg, NC. 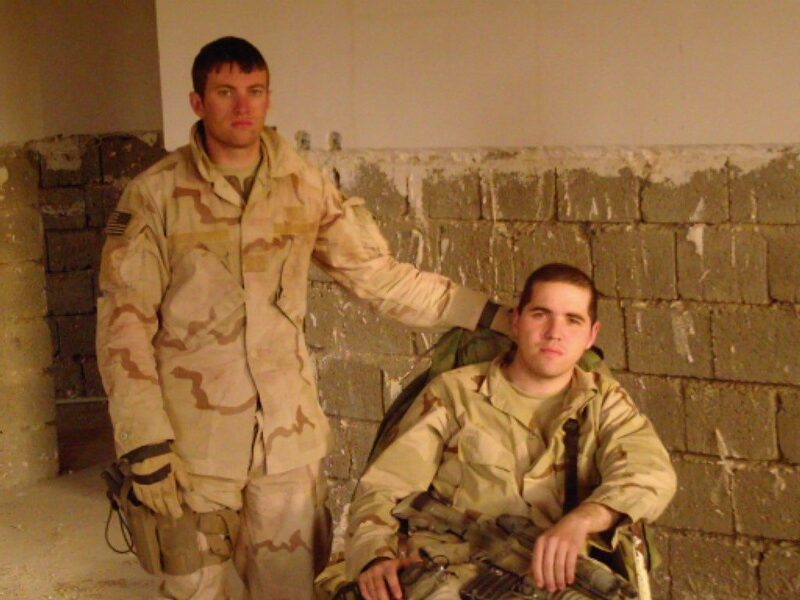 Dr. Paul Gilroy (left) pose for a photo during a mission in Iraq. 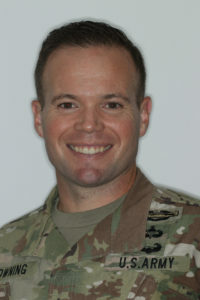 Dr. Gilroy enlisted in the Army directly after high school and was deployed twice to Iraq in 2005 and 2007. Using the GI Bill, he started dental school in 2013 at the University of Buffalo School of Dental Medicine and was accepted into the Army’s Health Profession Scholarship Program. Dr. Paul Gilroy enlisted in the Army directly after high school. During this time he deployed twice to Iraq — once in 2005 and again in 2007. He also went to Airborne School, Air Assault School and received sniper training. “My decision to leave the Army was based purely on the fact that I was so young and had the GI Bill to use for education. I never considered dentistry as a career. I had actually thought I might go in to medicine like my brother,” said Dr. Gilroy, now stationed at Fort Sam Houston in San Antonio. He also has additional duties working for the Dental Corps Chief’s Office as the executive fellow. During a shadowing experience at the Syracuse, New York, VA Hospital, he came across an oral surgeon in the operating room, which led to him shadowing general practice dentists. In 2013, he started dental school at the University at Buffalo School of Dental Medicine and was accepted into the Army’s Health Profession Scholarship Program.“My four years of dental school were filled with ups and downs but every step of the way I was happy with the career choice I had made,” said Dr. Gilroy, who became a father in dental school when he and his wife had two children. 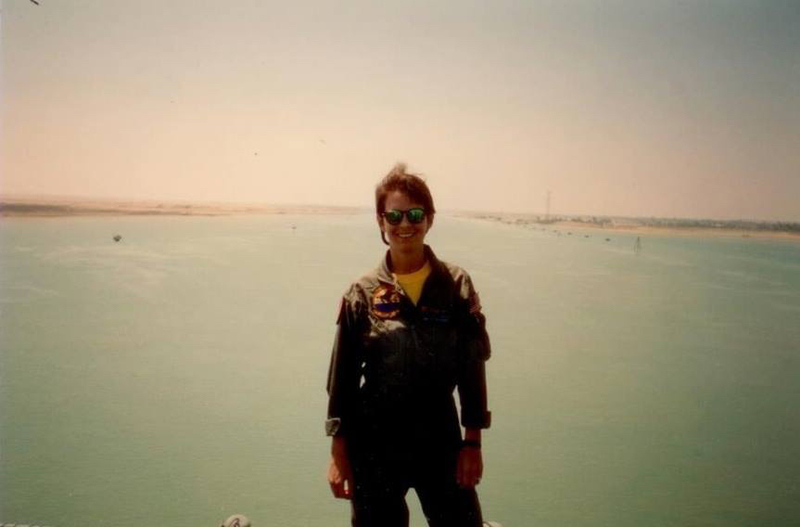 After 20 years as an aviator in the Navy and Naval Reserves, Dr. Gail Tischke switched her career focus to dentistry when she enrolled at the University of Illinois Chicago School of Dentistry at the age of 43. Her military service began with Aviation Officer Candidate School. From there she completed flight school, earned her Naval Aviator “Wings” and became a carrier pilot. She did two six-month deployments on the USS John F. Kennedy and USS George Washington before working as a station pilot in Key West, Florida, and becoming an intermediate jet instructor. While at UIC, she transferred her commission to the National Guard and spent three years as a student recruiter. After graduation, she remained in the National Guard Reserves before retiring in December 2012 with 24 years of total military service. She is currently an endodontics resident at UIC. Like Dr. Peterson, she credits her military background with influencing everything she does in life, including dentistry. Very interesting stories. Thanks for sharing this and I wish them all the best in their future as dentists. Wow! Their military background and their individual courage and determination to become dentists should be an inspiration to all dentists and future dental students..
Great article on how the military instills leadership, integrity, and service before self. Those of us have served, particularly on Veteran’s Day, understand that concept, and want to pass it on to the next generation of dentists! Enjoyed reading about the fascinating backgrounds of these inspiring dentists! We are grateful for their years of dedicated military service to this country and wish them continued success in their military and civilian career paths.